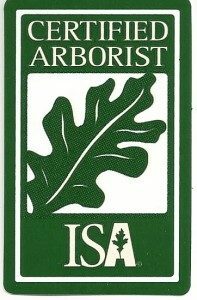 The International Society of Arboriculture (ISA) is an organization that certifies those who work in arboriculture, similar to how other trades use an exam and continuing education to denote certification. In the case of a certified arborist, certain qualifications must be met before the exam will be administered. This requirement can be met by either working three or more years (full-time) in arboriculture, or by obtaining a degree in a related field from an accredited university. Click here to learn more about arboriculture certification, the steps involved and the importance of hiring a trained professional for certain types of tree services. There’s also a portal on the website where you can look up information and verify a license for certified arborists. Do you have a job that calls for a certified arborist in Santa Cruz or Monterey? Call us today at (831) 508-8995 to find out how we can help! We offer FREE cost assessments for all jobs and are happy to offer advice, recommendations, and answer your questions!